Are you growing pumpkins this fall? Or perhaps you are looking for some fall themed yard décor. 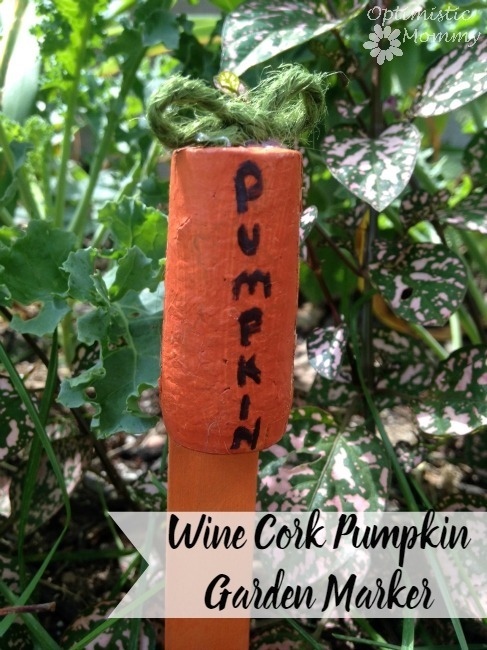 This DIY wine cork pumpkin patch marker is an easy way to add some fall fun to your yard. Made from items you may already have on hand, this wine cork pumpkin patch marker takes just minutes to craft and is even perfect for kids. Here is how you can get started! 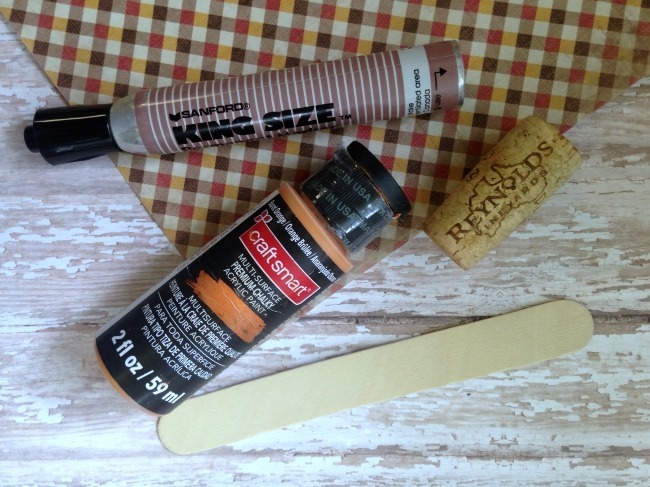 Begin by applying two coats of orange craft paint to both the wood craft stick and the wine cork. Allow the paint to dry. Cut a segment of green pipe cleaner to use for a stem. Poke it into the top of the wine cork. Secure with glue if you wish. 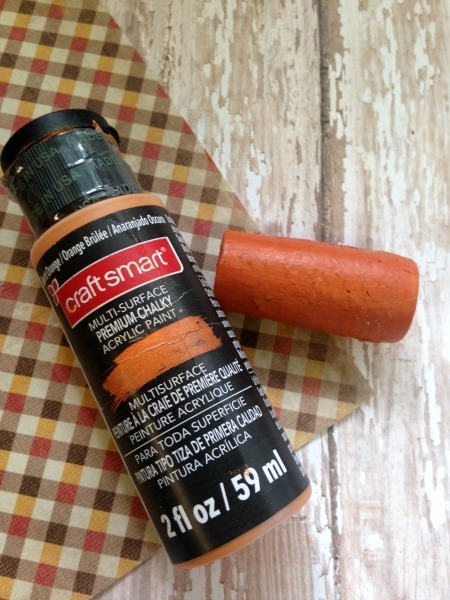 On the wine cork OR on the craft stick, use the marker to write the word PUMPKIN. Add a generous amount of glue to the back of the wine cork and press it to the top of the craft stick. Hold it in place until secure. 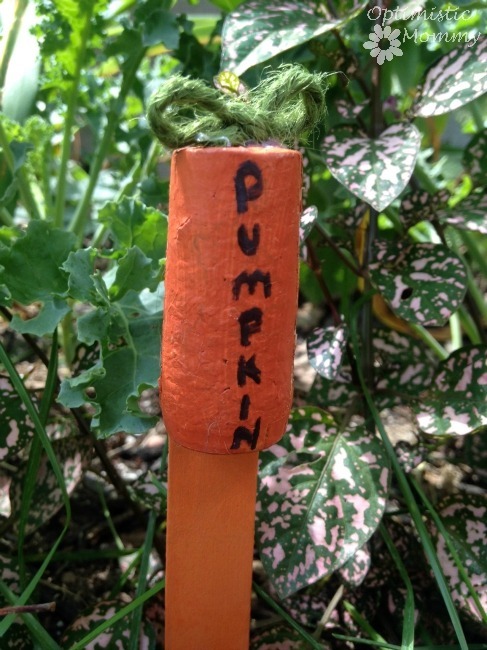 Your wine cork pumpkin garden marker is now ready to be used. To use it simply poke it into the ground near your pumpkin patch OR near your outdoor pumpkin display.